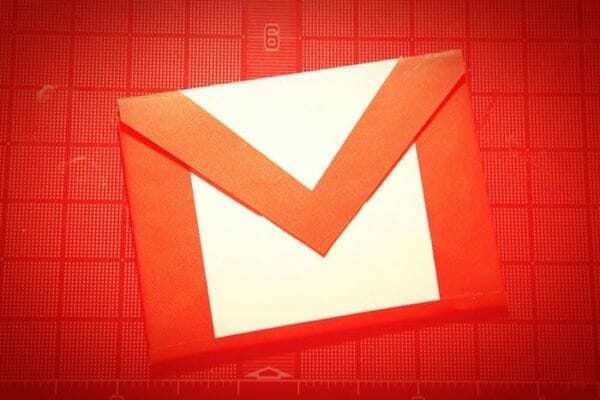 Some of the folders in my Gmail account disappeared. The Spam folder was one of the folders that were gone. I could still click the More link to access it, but this was annoying. I wanted my Spam folder back. 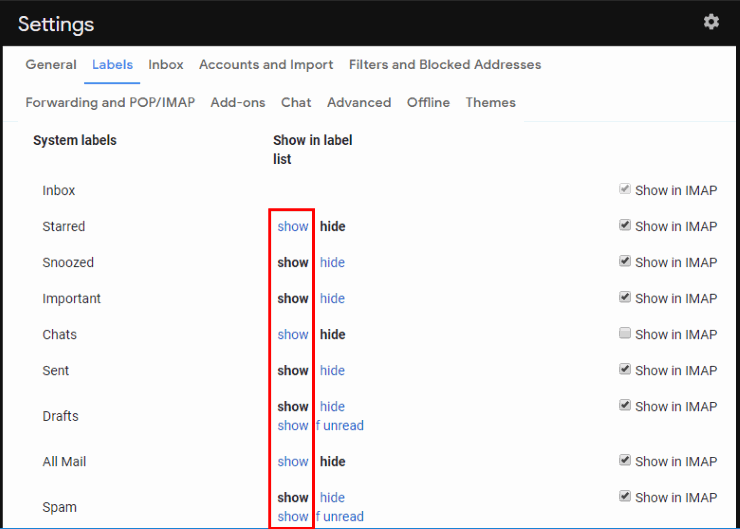 I located a setting where you can control which folders are displayed on the left menu of Gmail. I suppose this is a good setting for reducing clutter if you’re a person who likes to use a lot of email labels. Here’s how to show or hide folders. If your entire list of folders is hidden on the left, ensure it is set to show by selecting the “Menu” at the upper-left corner of the screen. Also be sure that arrows are expanded in the left pane so you can see all folders. In the upper-right corner, click the gear and select “Settings“. Select the “Show” or “Hide” link next to the folder you wish to show or hide. If you are using a third party application like Outlook to read your Gmail, you can select the “Show in IMAP” box for it to show up there. There is also an option if you mouse over the label in the left pane. You’ll see three dots appear you can select and choose to show or hide in label list or in message list. Is there a way to have everything expanded by default on the left beyond the “More” link? 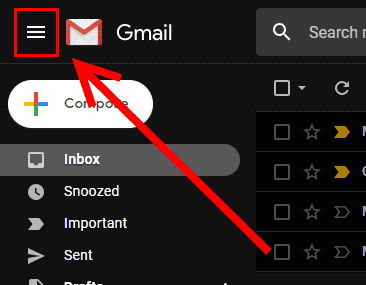 At this time, there does not appear to be a way to automatically have the “More” link expanded where absolutely everything is available to see when you first load Gmail. super thank you- finally a place to find the answer answer!!!!! great online guide, clear ! In that screen shot you have of the show in label list, what does the show in message list mean, what does that do or not do? 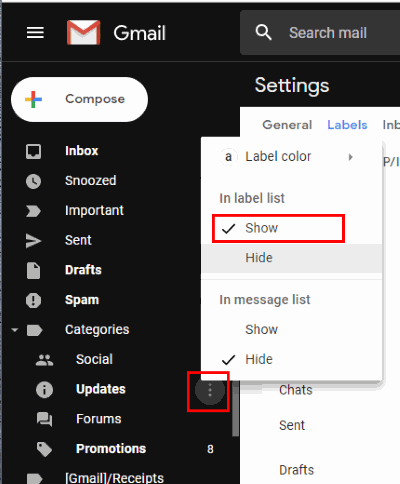 Is there any way to decrease the width of the left panel in Gmail? 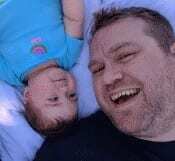 It is about a quarter size of the whole screen (at 110%). It would be nice to see a bit of the label panel, instead of show and hide!